Everyone asks me. Everyone. To which I always reply- That is the question. That IS the discussion. And that is part of the beauty of this medicine. It is for those willing to dance in mystery. Acupuncture is an expression. It is an art created by both practitioner and patient - an INTRICATE form of communication. I think the most accurate and efficient word to describe Acupuncture is Transcendent. One could say it is all energy. The whole trip. The life experience. From the density of form to the lightness of spirit. One could say we are on an energetic trip, having an energetic experience comprised of constant energetic interactions and relationships. I would argue that Acupuncture is the meeting point - where energy meets form. As precise and as delicate as the tip of a needle. I would argue this. There is a sentence I heard a lot throughout my training which has really stuck with me. “Qi (energy) moves the blood, and blood is the mother of Qi (energy).” I have interpreted this as a beautiful and concise description of the meeting point between physiology and energy. Form meeting function. This is the best way to communicate how working with and freeing up energetic mechanisms can have a profound and tangible effect on physiology. So there are a lot of ways to look at how energy runs through the body. I think they are all correct. What I have been exposed to, through my training in Chinese Medicine, is the Meridian Channel System and this is the system I most often utilize in sessions. I will break this down in a more in depth way later. But the gist is this - there is a network of latitudinal and longitudinal lines of Energy/Qi. constantly running through the body. In the same way that blood is constantly running through our venous and arterial systems, or the way water flows in rivers. 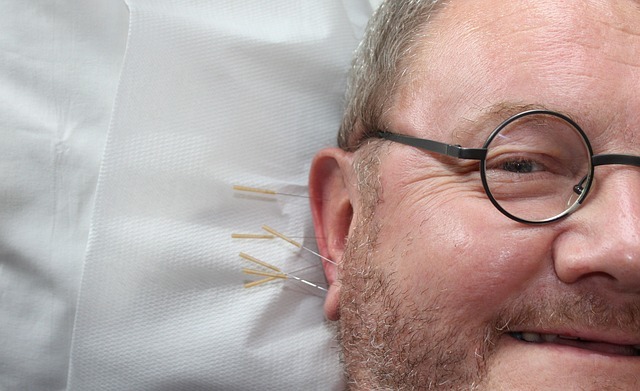 The placement of Acupuncture needles has a powerful effect on the flow of Energy through this system - and thus has a powerful effect on the whole environment of a person. Much like the creation and destruction of dams has a powerful effect on the movement of water, and thus has a powerful influence on the health of that environment. There are a number of reasons, mechanisms, and influences that can cause a system to run maladaptively. I will go more into that later. For now, I have found that gently tapping into this meridian system and supporting a change in the flow through that mechanism - often produces significant and life changing results. Anna Tron LAc is a licensed acupuncturist at the Alaska Center for Natural Medicine. To learn more about Anna Tron, click here. If you would like to schedule and appointment call 907.452.3600.